We all know what the Diver Down flag looks like, but do you know how this flag got it’s colors? Most divers are familiar with the red & white diver down flag, and most have also seen the Alfa/Alpha flag. So why two dive flags, what is the difference and when are they used. According to the International Code of Signals (ICS), the “A” flag means – “I have a diver down; keep well clear at slow speed.” The flag has to be hoist at least 1 meter from the surface and on a vessel. The ICS, an international system of signals and codes for use by vessels to communicate important messages regarding safety of navigation as invented by SOLAS. The International Convention of Safety of Life at Sea also known as SOLAS is a maritime treaty which sets minimum safety standards in the construction, equipment, and operation of merchant ships. The convention requires signatory flag states to ensure that ships flagged by them comply with at least these standards. The current version of SOLAS is the 1974 version, known as SOLAS 1974, which came into force on 25 May 1980. As of January 2019, SOLAS 1974 had 164 contracting states, which flag about 99% of merchant ships around the world. In the early 1950s, Denzel James “Doc” Dockery, an entrepreneur from Michigan invented the now very familiar red-and-white dive flag. In 1953, Dockery followed instructions published in Popular Science magazine for building his own scuba unit and began experimenting with ways to make a living in the brand new sport. While experimenting with his new scuba gear, Dockery found he needed a way to keep vessels at a safe distance with a warning flag. His first version of this flag was a red flag with a horizontal white band. His inspiration came from the use of the solid red “bravo” flag used by the Navy that means danger. Dockery later realized that the red flag with the white horizontal band could not be used as a diver flag, as it was already the Austrian national flag. A red flag with a vertical white band was also not an option as it was already in use by the Navy as a numerical signal flag for the number 7. 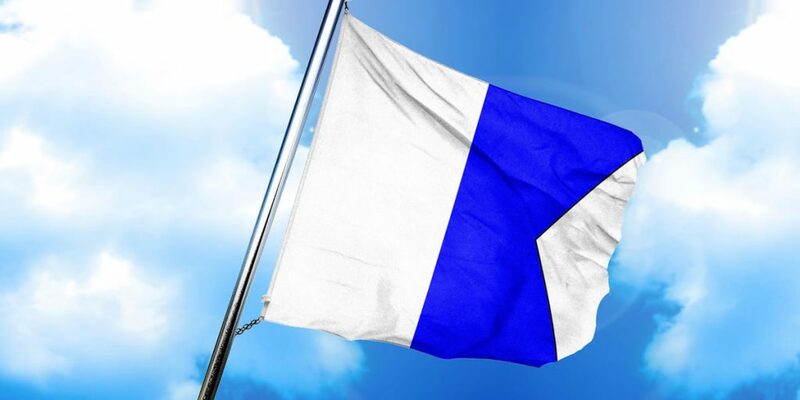 Eventually, Docker settled for a red flag with a diagonal white stripe running from the top-left corner of the flag to the bottom right corner, and together with his wife Ruth started manufacturing and selling the new diver flag. Meanwhile, he started promoting his flag as the new standard and later had his flag officially recognized in his home state of Michigan. Michigan later became the first state with a scuba flag law. In 1956, Dockery’s flag started gaining more popularity. Ted Nixon from U.S. Divers started buying them from him and distributing them nationally. Nixon became so instrumental in the flag’s widespread adoption that many people mistakenly credit Nixon with inventing the flag. 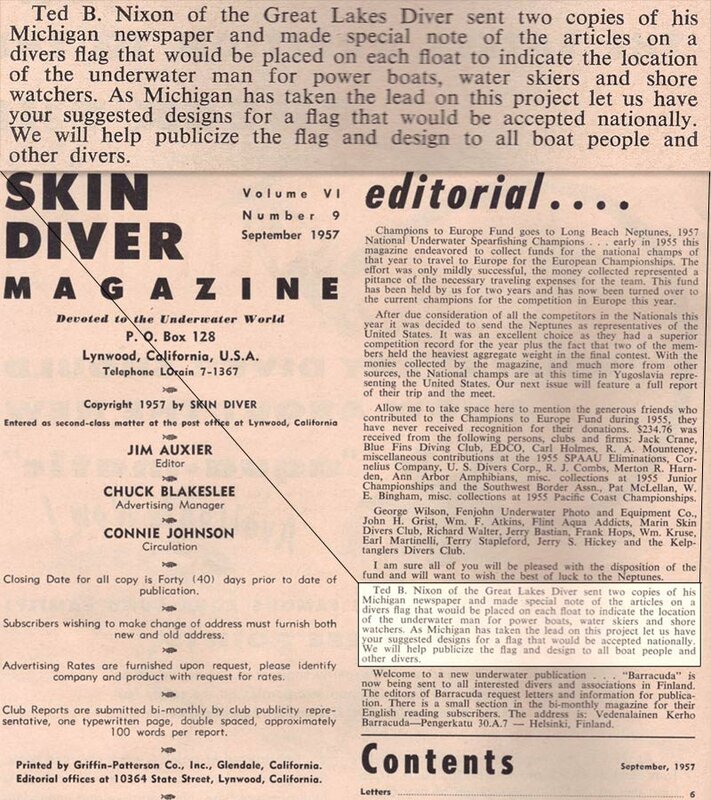 The next boost in marketing his dive flag came when “Skin Diver magazine” mentioned Dockery’s flag in a September 1957 editorial and asked their readers to send in their thoughts on the design. In February 1958, they declared the discussion closed, with the “Michigan Divers Flag” as the reader’s choice. 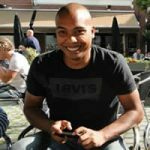 What dive flag should you use? 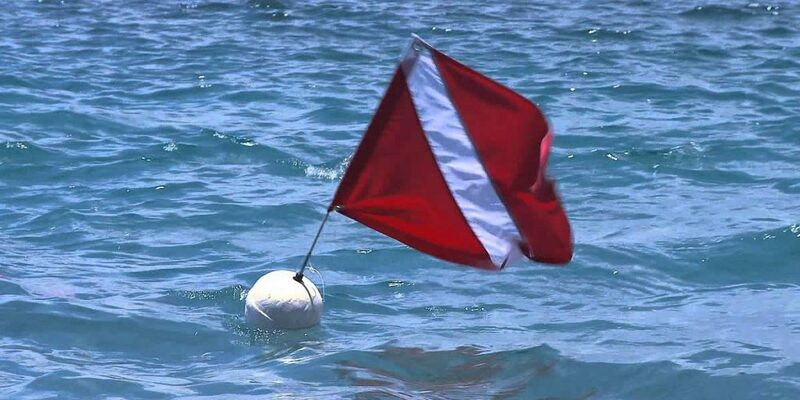 While the red-and-white dive flag is internationally recognized as a diver down flag and symbol for anything related to scuba diving, the “A” flag is still the official flag in most countries outside of North America and required to be used by vessels by law. In North America where the red and white diving flag is recognized (and often required) it should be displayed prominently by all sports divers. Putting up the Alfa flag as well does no harm at all but will probably not be recognized by all vessels.